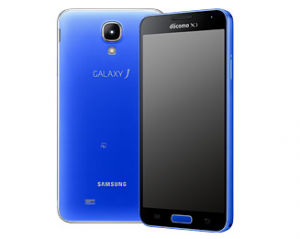 Samsung Galaxy J available internationally? The teaser trailer also shows an image of the Galaxy Gear with December 9th in its display. It could be the releasing date of the device in Taiwan or maybe it will be the presentation of its launching to some other regions as well. The Japanese version of the Galaxy J has a 5-inch 1080p Super AMOLED display, 2.26GHz quad-core Snapdragon 800, 3GB of RAM, a 13.2MP rear camera with optical image stabilization, a 2,600mAh removable battery, 32GB of internal storage,microSD support, and a water and dust-proof body. It’s offered in Coral Pink, Satin White, and Lapis Blue. We have to wait until tomorrow to see if the version of the device presented in the teasing trailer will have the same specifications than the Japanese version… we can now just hope it does!